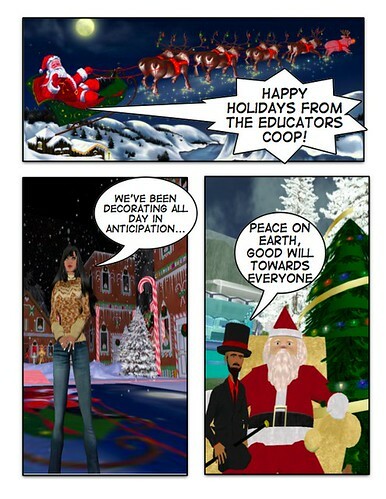 Ed Coop Holiday Party in SL tonight! This is the first of four student machinima projects I will be posting created by the students of Working in Virtual Worlds, a class I teach in the School of Information at the University of Texas at Austin. 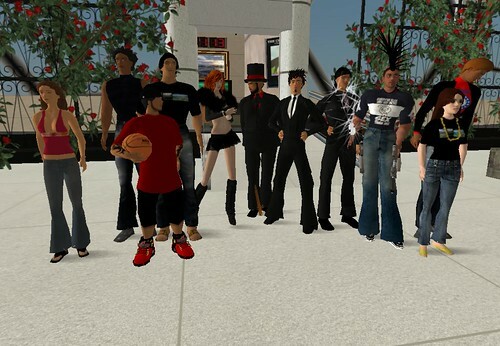 Students were required to plan, coordinate, and host an event in Second Life as part of the class activities. Originally we had planned on having two tests in the semester but when the students asked to replaced the second test with a machinima project I agreed ; ). The machinima project was an open assignment, i required the machinima be about the event they held and that every group member’s voice be heard. Other than that they had creative freedom. This is a video produced by the Drag Rats (4 students) who held a custom motorcycle show in Second Life. Many thanks to the Saints of Hell in Second Life for agreeing to partner and work with the students on their assignment. As you will see, the event was a huge success, at the highest point over 60 avatars were at the event. The video is five minutes and the students begin their narrative about 3 1/2 minutes into it. Corin Lipinski led this team and produced most of the video. She graduated last week from UT Austin with a degree in Advertising and she is looking for an entry-level job in Austin. As you can see she is very fluent in everything Second Life and Web 2.0, if you have an opportunity available or have any leads for her please email me and I will put you in contact with her. The final student project in my Working in Virtual Worlds Class will be held Tuesday 7pm PDT at Slaytona. 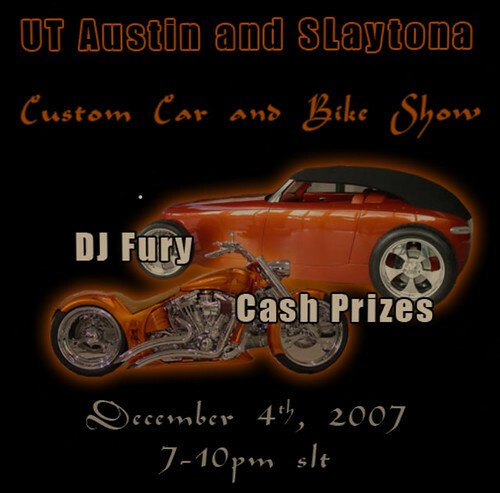 The event will feature a live DJ and several cars and motorcycles built by some of the best custom vehicle makers in Second Life. If you haven’t seen the high quality custom cars and motorcycles being built in Second Life this is an event you won’t want to miss. The work from these builders will inspire you. Big cash prizes will be given to the builders in both the MC and car class. 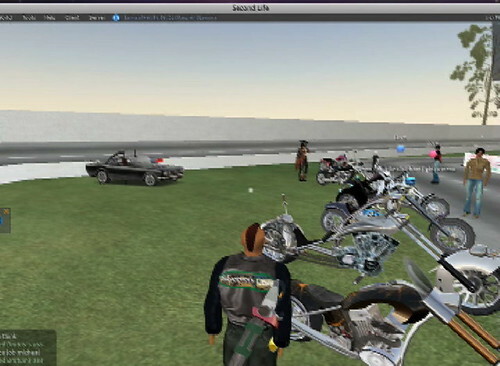 Both the Custom car and Motorcycle Club cultures in Second Life have unique features from other SL groups.Many of the groups have strong rivalries and mimic the culture of Real Life outlaw MC clubs. This is a perfect opportunity to get a glimpse of a unique Role-playing community and support student work in Second Life. I hope to see yall there. IM me and I’ll give you a biker jacket for the event ; ).